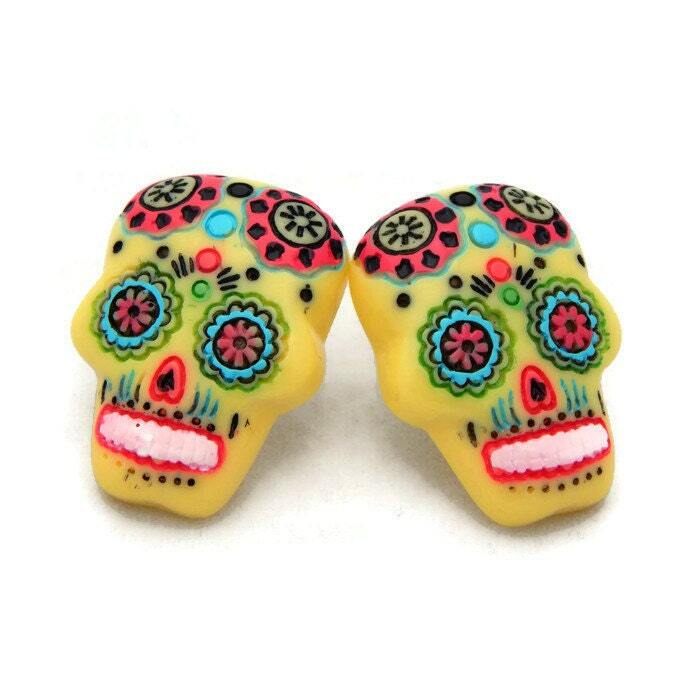 Bold and bright these yellow sugar skull earrings are a statement piece. 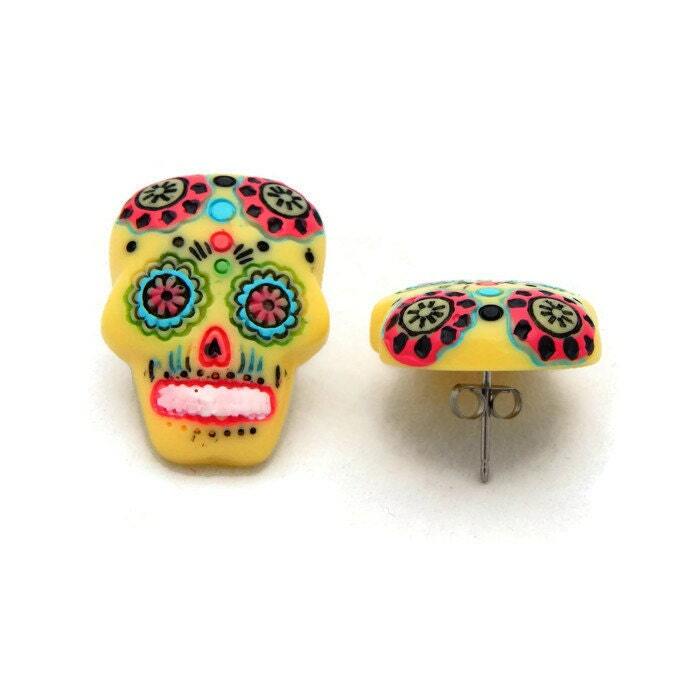 Made of lightweight resin the yellow skulls are painted day of the dead style with pink, turquoise, green and black accents. 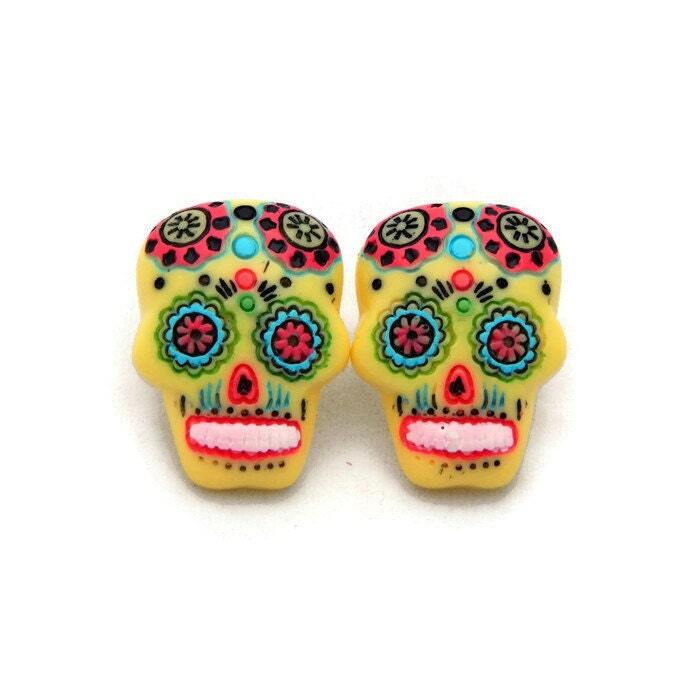 These earrings are huge at 25 x 18 mm or approximately .98 x .71 inches. 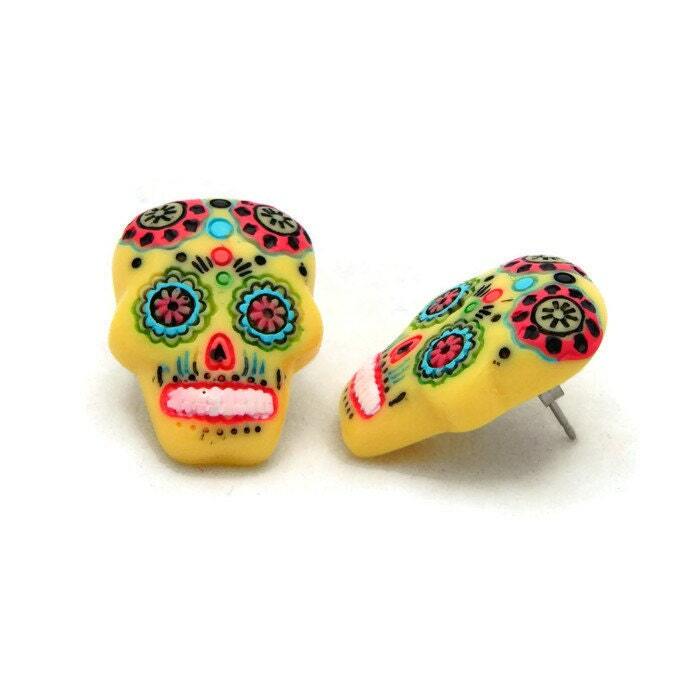 Earrings are backed with hypoallergenic nickel free earring posts and backs. Love these earrings! purchased a pair for me and soon after I got them I loved them soo much I purchased a pair as a gift! They are the perfect size and get soo many compliments on them! will definitely purchase from here again! Fast shipping :) thanks again!